Ready to #partyonabike? 1 in 200 Americans have Crohn’s or colitis. With your participation, we have the #power2cure. Join the movement in Orange County, CA today! 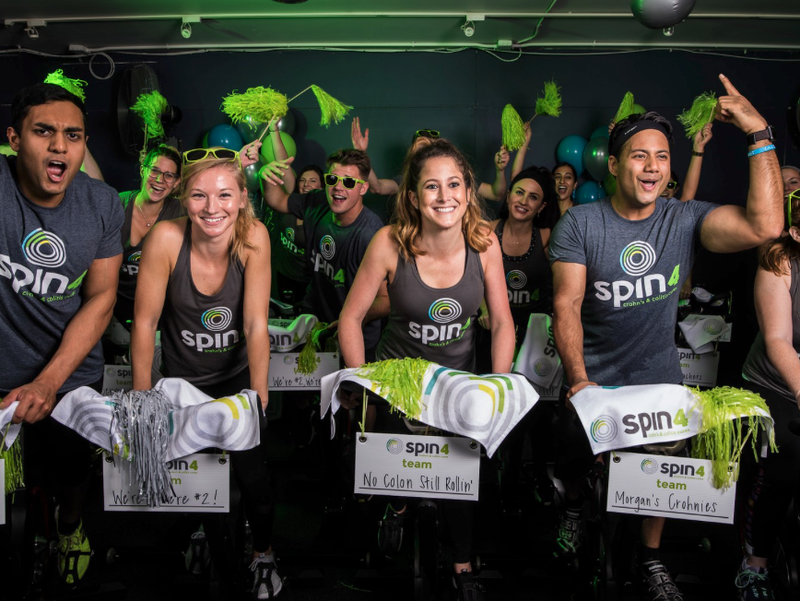 spin4 crohn’s & colitis cures is a 2-hour cycle relay event. You and up to 3 friends form a team and switch off every 30-minutes. This event has high energy, music, cheering, dancing, the best instructors and of course pedaling with a purpose! Each bike has a minimum commitment of $1,000 and a $40 registration fee. That’s just $250 per teammate! And don’t worry, you won’t do it alone — you’ll receive fundraising tips, tricks, and tools to help you get there. Raise $2,500/bike to receive the VIP treatment and help fund cures faster! You'll never go further on a stationary bike! Visit http://online.ccfa.org/orange_county to secure your bike.